Keep your eye out for cool locations like this where you can create contrasts. 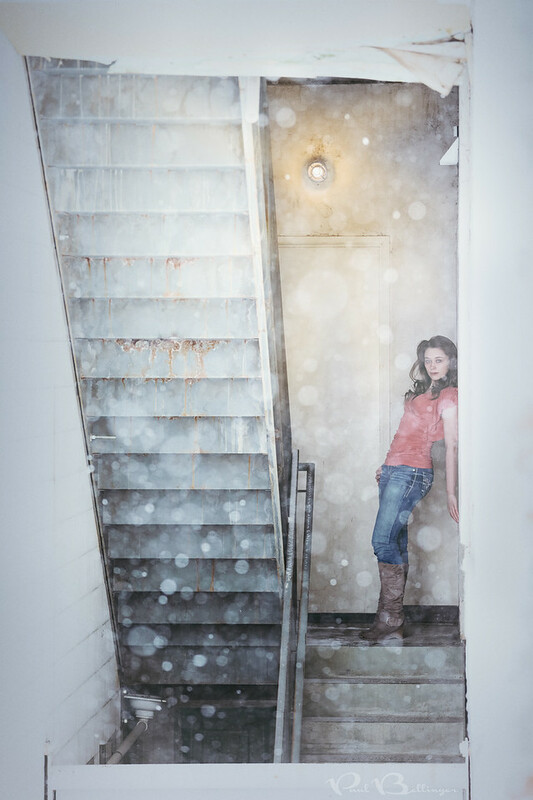 In this case the beautiful and colorful model contrasts against a rather ugly and colorless staircase. The warm light bulb creates a soft glow, while the daylight contrasts with a colder tone. I found this spot by hanging my head out the window of my studio and looking around. I have to hang my head and camera out the window to shoot this, but I have nice window above my head to protect me from the weather! What a cool setup for rain and snow photos!